As Jason is still recovering from his surgery, he hadn’t yet held either of the girls. Feeling better, he had his first baby girl cuddles with Miss Ella yesterday. 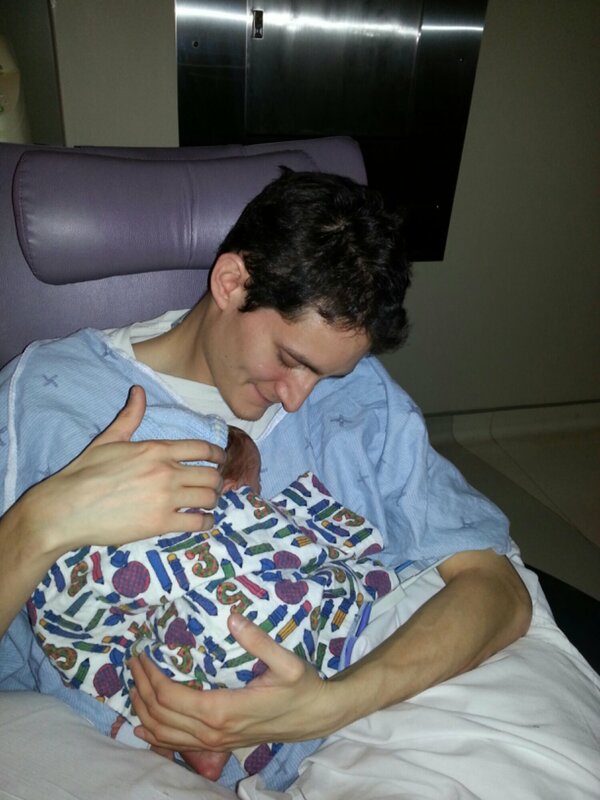 Since his side is still sore, and he is feeling both a bit anxious and nervous, he decided not to do skin to skin, but still got to hold her wrapped in a blanket. Ella, the budding fashionista that she is, was also rocking an adorably teeny pink onesie t-shirt. Ella fell asleep in her Daddy’s arms as she received her feed, and stayed there nice and cozy before hopping over to Mama with her sister. 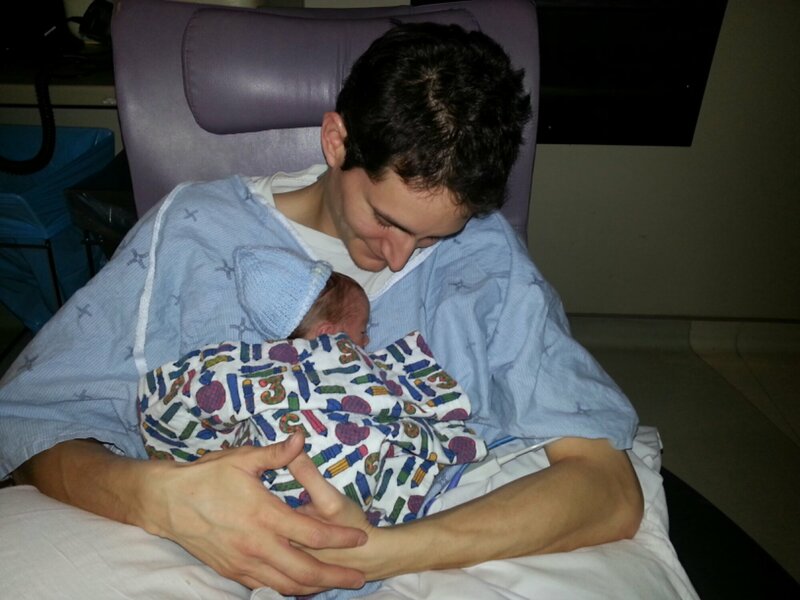 This entry was posted in Baby love, Life in an incubator and tagged preemies, skin to skin. Bookmark the permalink.